Horse racing has been struggling for years to regain a strong footing on the national sports landscape, and owners hope to use betting on other sports to bring fans back to the tracks. The gamble is not a sure thing since not everyone is on board with the Supreme Court's ruling earlier this week that allows states to offer sports betting. Track owners believe horse racing has an advantage since race tracks in many states will be among the first to allow sports gambling. Many race tracks already offer slot machines and table games — popularly known as racinos — in addition to betting on horses. "The economics of it, we will begin to see how it works," said Stronach Group chief operating officer Tim Ritvo, whose company owns race tracks throughout the country. You may be able to place a bet on your favorite team – legally – in the Bay Area soon. The Supreme Court ruled Monday that it's up to states to decide if they want to legalize sports betting. Business and tech reporter Scott Budman reports. One of those tracks is Pimlico Race Course in Baltimore, site of Saturday's 143rd Preakness. The aging track needs an overhaul and Ritvo is hoping for a boost from sports betting. He doesn't believe sports betting is "going to be this huge windfall of money, but it's an added amenity for a customer, where he can go to an event like a race track and bet some races and bet some games and watch some games," Ritvo said. "It becomes a social experience." 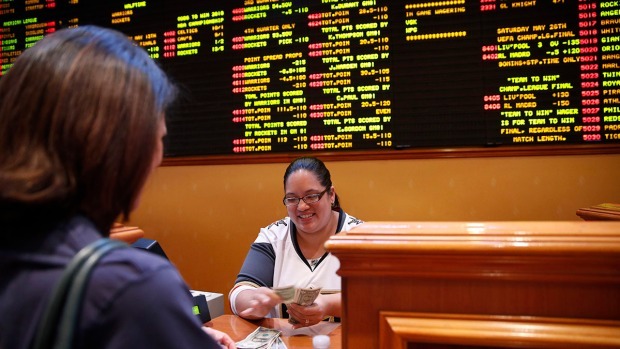 The nation's highest court ruled 6-3 on Monday to strike down the Professional and Amateur Sports Protection Act, a 1992 federal law that had banned sports betting in every state but Nevada and a few others with limited wagering. Horse racing must overcome stiff political opposition in two of the Triple Crown states — Kentucky and Maryland — to take advantage of the ruling. Kentucky is capital of thoroughbred horses but has no casinos. Indiana, Ohio and West Virginia have several casinos and racinos sitting across the Ohio River. That has sparked criticism about money leaving Kentucky, but casino gambling hasn't advanced in recent years, and Gov. Matt Bevin is opposed. Kentucky Senate Majority Leader Damon Thayer isn't sure the Supreme Court's decision will change minds in his state. "We've got some time to try wrap our heads around it and find out if it's something we want to do and if so, how to do it," said the Republican, who expects to hear all sides by the time the legislature convenes in January. In Maryland, there is a stalemate among legislators largely due to disagreements about who should be allowed to have sports betting — casinos and/or horse racing tracks. There is a chance legalized sports betting won't happen in Maryland until at least 2020. 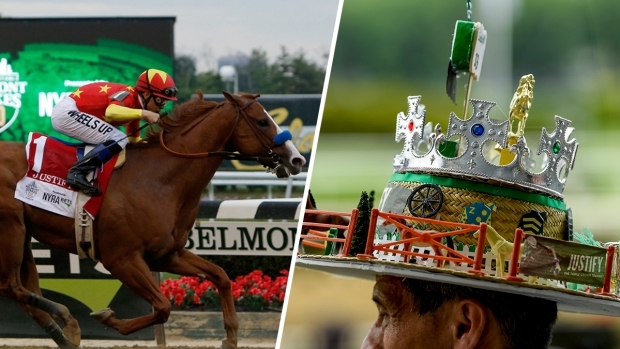 Horse racing needs more immediate help. Churchill Downs Inc. wasted little time taking a step on this new frontier. The company announced an agreement Wednesday with Golden Nugget Atlantic City to enter online gambling and sports betting in New Jersey. The handle, the total of money wagered at tracks nationwide, has fallen from $15.18 billion in 2003 to just under $11 billion the past seven years. Industry website Equibase hasn't tracked attendance since the mid-1990s, but it has been dropping. Alex Waldrop, president and CEO of the National Thoroughbred Racing Association, said the sport is "holding its own" financially through all of the betting platforms. Hall of Fame trainer Bob Baffert's previous Derby winner, American Pharoah, created a buzz three years ago in becoming the sport's first Triple Crown champion since 1978. 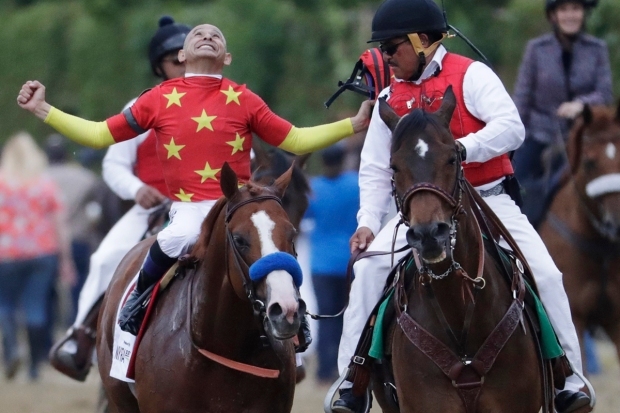 It remains to be seen if Baffert's colt Justify — the Kentucky Derby winner and favorite in Saturday's Preakness — can generate similar interest, but that still won't be enough for Baffert. He believes casino gambling could be the way to bring some new fans to the rail. And as casinos now look to expand with professional sports books, there's also a chance to add live race simulcasts. "You're now going to see casinos, if they don't already have race and sports books, interested in putting those in," Waldrop said. "The two are perfect compliments and we see them all over Las Vegas. Perhaps we'll see them in commercial casinos, and that would be a boon for horse racing. Anytime we can expand our distribution platform is a good thing." Casino gambling is available in 40 states, with horse racing in 32 and 14 with racinos. Many tracks have reduced races but have remained financially solid because slot machines and table games are more profitable. Bettors interested in Justify or his challengers in the Preakness can bet at racinos or tracks with simulcast wagering, online in states that allow it, at sports books in Nevada or in states with off-track betting options. But with New Jersey poised to begin sports betting within weeks at Monmouth Park and other states soon to follow, many more options could be available by this fall's Breeders' Cup championships at Churchill Downs. Baffert just wants to see the sport do well, and he believes the Supreme Court ruling could be a jumping off point. "I love when they say record-breaking handles, which means people are involved and still into it," Baffert said. "Everybody's betting on their phones now, less people are coming to the races because they've made it so convenient. "You like to win when there's a crowd. That's why Breeders' Cup, Derby, anybody that wins a race even on the undercard, it means a lot because there's 100,000 people here watching you win a race," he said. "Everyone wants to win when the whole world is watching." AP Sports Writers Ben Nuckols and Stephen Whyno in Washington, and David Ginsburg in Baltimore contributed to this report.